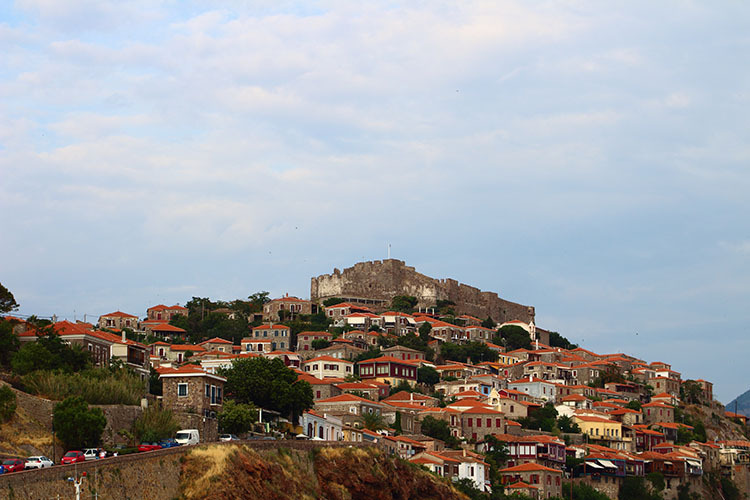 And then, at the northest point of the island one will find the picturesque village of Mithymna (also known as Molivos), with its mediaeval castle and the traditional architecture. Molivos is also the islands best known resort. 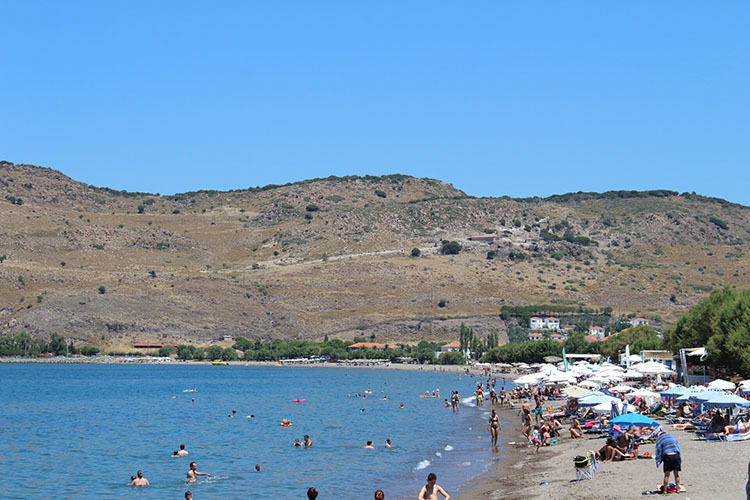 Only a short distance of 5 Km SW of Molivos the village of Petra can be found. Petra has one of the best sandy beaches of the island. Again further south the village of Agia Paraskevi is situated. This village has a lot of old mansions and is known for the Bull Festival that has been celebrated since more than two hundred years. Near the village lay ruins of an ancient temple of Napaios Apollo and the ruins of an Ionian temple dated from the 3rd century BC. This temple was dedicated to Zeus, Hera and Dionysos. Kalloni is also famous for its plain that creates a unique refuges for birds such as ravines and myrtles. The oleanders, ferns, pines, form the hydrobiotop of Parakoila, Skala Kallonis and the salt pans of the gulf. The area is filled with waters and their thickets of canes consist of a great number of birds, animals and lepidopteran such as foxes, winks, squirrels, hedgehogs, martens, turtles, martins, wild pigeons, thrushes, pelicans, hens-fowls, blackbirds, storks, herons, crickets and nightingales that brighten mornings and evenings with music. Also near the center of the island another well known town is Agiassos. This town is famous for its pottery. Going further south again we reach the towns of Plomari and Vatera which have the one of most superb beaches of the island, 10 Km long. At the western tip of Lesvos, Sigri is a pretty fishing village with a nice little beach and a castle that goes back to the 18th century. Not far from there lies the Petrified Forest, dating back fifteen million years. Finally, not far from Sigri, one will find the town of Eressos. Eressos has been the birth place of Sappho and Theoprastos. Its port, Skala Eressos, is a famous resort with a magnificent beach. Lesvos, as it can be seen from its classical history, its abundance of poets, musicians, philosophers and lawgivers, was one of the great cultural centers of the Greek world. It was second perhaps only to Athens in its influence if not in its power. As a place for a holiday, for a rest or for quiet work, Lesvos is HARD to BETTER. It is big enough to permit that change of scene so necessary if one is to avoid "island claustrophobia". It has a further advantage that it is easy from here to organize a trip to visit Troy or to explore the coastline of ancient Ionia.